Synopsis: Charlie couldn’t understand it. No one could. He was the only one of Bill Polk’s five children who was hated and abused. Forced to leave home with only the clothes on his back and an extraordinary (some said “supernatural”) gift, Charlie sets out on a quest for hope, acceptance, and love. He is determined to shed the curse of his father’s bad reputation and to discover why he was so severely mistreated. Along the way he is reunited with three childhood friends: Frank Wissler III, from the wealthiest and most influential family in the Valley; Priscilla Miller, a beautiful and mischievous farm girl; and Mable Shown, an attractive but simple girl of faith. When Charlie rejects Priscilla’s romantic intentions but instead proposes to Mable, Priscilla frames Charlie and the resulting scandal causes him to lose everything. Even Mable delays his betrothal request, awaiting a sign from God. Ultimately he does succeed, discovers the surprising reason for his father’s hatred and ascends to the most prestigious farming job in the Valley, which can only be explained by the remarkable faith of his beloved Mable. About the Author&colon; Richard Weirich writes from the perspective of his numerous life experiences that include professional musician, radio personality, pastor, and advertising sales executive. Richard grew up in the Shenandoah Valley of Virginia and immediately after high school was accepted into the U.S. Navy Band as a trombonist. While in the Navy Band he became interested in radio, enrolled in the Tidewater School of Broadcasting and quickly landed his first radio job in Norfolk, Virginia. For 30+ years Richard was the Burt half of the popular morning radio duo of Burt and Kurt, entertaining listeners in Jackson, Mississippi; Tampa, Florida; Houston, Texas; and Birmingham, Alabama. While in Birmingham Richard prepared for the ministry at Southeastern Bible College and Samford University which led to a fifteen year ministerial career serving as pastor of several Alabama churches. He has been married to Janet for more than 40 years and has two sons, Sean and Michael. 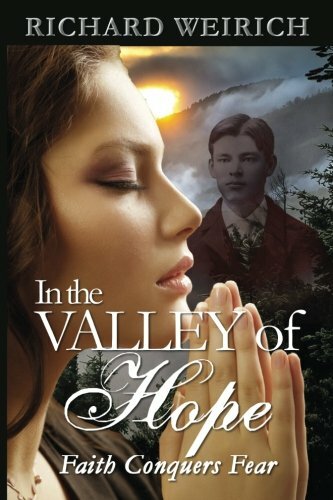 In the Valley of Hope is Richard’s second novel following Fifth Sunday: The Loving Hands Murder.